Legs pumping, hands clutching chain links, you’re flying. Tipping our head back the world appears upside down. Leaning forward – you leap. For many, the thrill of a park swing set is among our first memories. Free standing commercial swing sets are a classic playground favorite and at Adventure Playground Systems we believe that no commercial playground area is complete without them! Swings are associated with the development of multiple skills. From clutching the chains, balancing against constant changing motion, and monitoring the surrounding environment. 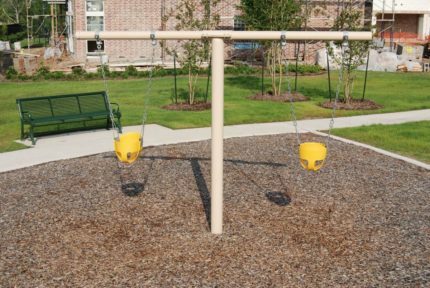 A commercial grade swing set is a primary learning tool on any playground. 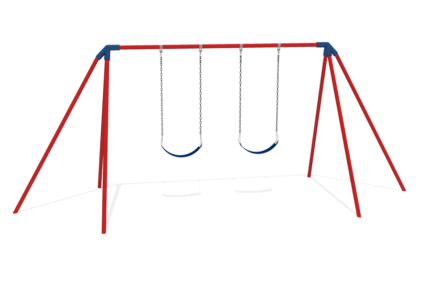 We offer a wide selection of swing styles and designs that will allow for high flying fun for kids ages 2 to 12. With custom color selections and seat arrangements we can create the perfect addition to your new or existing playground. 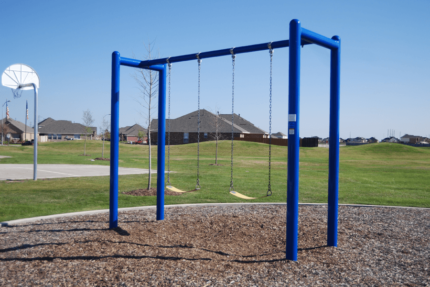 Why Include a Commercial Grade Swing Set in Your Play Area? A heavy duty metal swing set encourages fun and imagination. Swings are the epitome of sensory activity as children get to experience seeing the world from a different perspective. 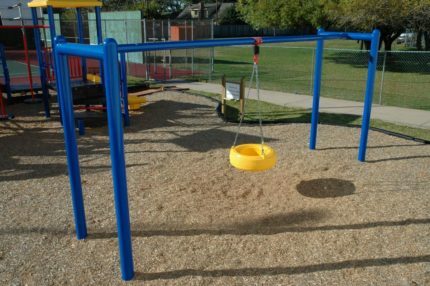 Commercial grade swing sets encourage physical exercise by allowing kids to pump their feet so they can explore the thrill of movement. Additionally, by working large muscle groups in their legs and arms, children on commercial swing sets also build gross and fine motor skills. 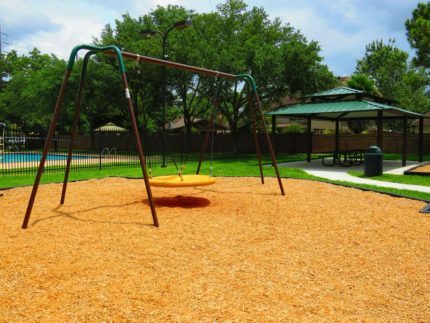 Adventure Playground Systems manufactures commercial swing sets of exceptional quality and durability for commercial playground areas across the United States. 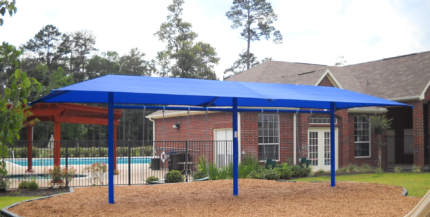 We’ve designed commercial outdoor recreation products, swing sets and other standalone play structures for schools, daycares, HOA communities, parks and other organizations nationwide for more than 20 years. Our friendly team of Adventure Play Experts are knowledgeable and ready to help you find the equipment you need to complete the playground of your dreams. 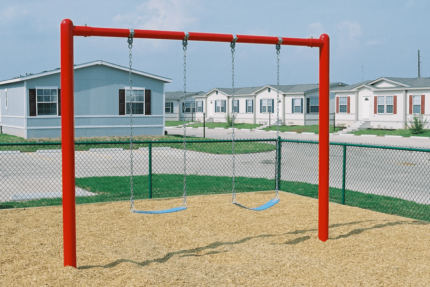 All of our outdoor play products — including our swing sets for playgrounds — are created to meet the highest safety standards in the industry. With Adventure Playground Systems you can remain assured that your commercial park and playground equipment will be safe for generations of children to enjoy. Browse our online inventory to view all of our commercial swing sets for sale — you’ll find a selection tailored to a variety of size restrictions, age groups, abilities and budgets. Just give us a call at 1.888.935.2112 or fill out our contact form, and one of our Adventure Play Experts will be in touch to help you plan, design and install the best commercial equipment for your park or playground.